From an original audience tape by "Lammah". A good quality audience recording with all instruments being well represented. Initially vocals are a little quiet but pick up as the gig progresses. The first leg of the 2006 American tour completed with a stunning night at The Independant in San Francisco. The relatively new backing line-up play magnificently and the "new" track "Systematic Abuse" gets a re-working. Some incredible mixing and use of echo on various numbers transports the classic Fall sound into new dimensions. Tim Presleys guitar work adds new value to the Fall sound and Rob Barbato provides stunning but solid underpinning to the group sound. Orpheo McCord is an excellent drummer and adds significantly to the dynamic of the bands live sound. There have been mixed feelings about the standard of this band and the recent sackings of three long-standing members. 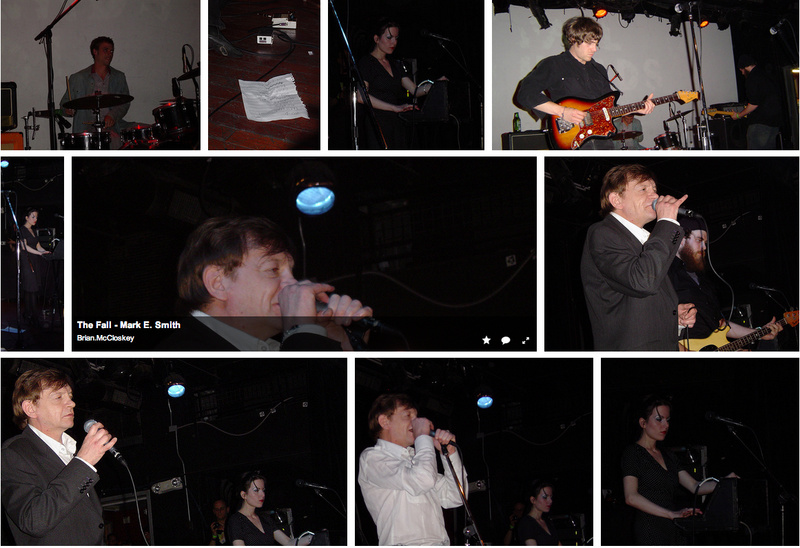 However the general view would appear to be that this iteration of the Fall is the most accomplished in some time bringing in a new era and providing a transition from the "garage" sound which has predominated for the last three to four years. No Re-EQ'ing, compression, or anything else done! Quality: EX- pretty much centered, fairly minimal annoying audience chatter, only thing I hear that's annoying is my mic cut out for a split second at about 0:14 of 'What About Us'. They sound even better than what I heard from tomzero's seed from the night before. I was expecting a shambles, what I got was a band tighter than a duck's behind, even though they have been together only for a week, as Mark's former band (sans Elena, of course) along with their tour manager had bailed and flown back to England after a disastrous show in Phoenix. RIP Mark E. ...amazingly the link is still alive, even if he is not.